Filming has already been set in motion for one of the most anticipated TV shows – Doctor Who season 12. The British science fiction television programme has been gathering a cult following across the globe since its premiere in 1963. It is set around the adventures of a Time Lord, an extraterrestrial being known as “The Doctor” from the planet Gallifrey. The Doctor, alongside his companions, uses a space ship called Tardis which allows him to move through time around the universe, combating the enemies, saving civilisations and rendering help to people in need. From the outside, the Tardis looks like a blue British police box (a common sight in Britain at the time the series premiered) but the inside is a lot bigger. Aside from entertaining audiences for decades, Doctor Who also takes credit for influencing several generations of British television pundits. This really doesn’t come as a surprise as many top-notch filmmakers and entertainers today grew up as fans of the series. The show initially ran from 1963 to 1989 before going on a hiatus but returned in 2005 with more exciting packages. It has since been produced in-house by BBC Wales in Cardiff. As gathered, Doctor Who season 12 had the cameras rolling in January 2019 and is expected to start airing soon. Get all the details about the latest project of the long-running TV programme. Who will be coming back for the twelfth series and what is to be expected on the show? Read on for all the deets. This will mark the second time the series will feature a woman – Jodie Whittaker as the Thirteenth Doctor. Other key characters (The Doctor’s companions) we will be seeing on the show are Graham O’Brien, Ryan Sinclair and Yasmin Khan as played by Bradley Walsh, Tosin Cole, and Mandip Gill respectively. Whittaker made history on 16th July 2017 following BBC’s announcement that she will take on the role of the Thirteenth Doctor. She is notably the first female incarnation of The Doctor. Jodie Whittaker took over from Peter Capaldi in the 2017 Christmas special episode “Twice Upon a Time”. At this time, Capaldi’s Twelfth Doctor went through a regeneration process which birthed the Thirteenth Doctor. Whittaker’s debut in the eleventh series, which premiered in October 2018, was met with positive reviews in spite of earlier reservations about her gender. Naturally, fans had stereotyped the role of The Doctor as one that is meant only for a man. Thus, when it came to light that a woman was taking it up, there were mixed feelings about it. Notwithstanding, some feel it will be a good way to portray a role model for young girls to look up to. In spite of the raised eyebrows about her role in the British science fiction television programme, Whittaker is already working with the crew to give life to the iconic role in the twelfth series. For what it’s worth, the Thirteenth Doctor has left no doubt in the minds of viewers that she has what it takes to pull off the task ahead. The English actor is known for a lot of things but his role as Graham O’Brien in Doctor Who stands out amongst others. He joined the cast in October 2017 following the BBC’s announcement that he had been cast as a companion of the main character in the eleventh series of the show. Earlier in 2008, Walsh made an appearance in two episodes of Doctor Who spin-off The Sarah Jane Adventures. He starred in the second story of the second series – The Day of the Clown, playing the role of a sinister entity that fed off the fear in people. 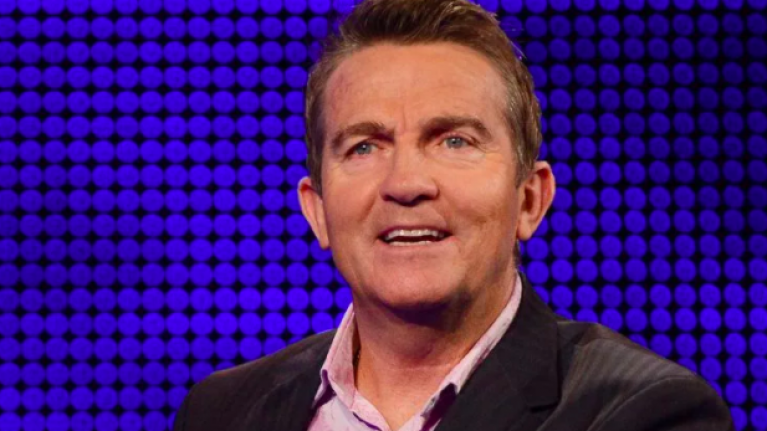 In addition to his acting exploits, Bradley Walsh is also an accomplished comedian, singer, television presenter and used to play football professionally. The multi-talented entertainer of British origin has successfully held his ground in his various career endeavours. On the 22nd of October 2017, Tosin Cole was announced as the new addition to the cast of the Doctor Who series. He joined the show in time for the eleventh series, playing Ryan Sinclair, a companion to The Doctor. Born on July 23, 1992, the young British actor has appeared in a range of television shows and films beyond Doctor Who. Some of them include The Cut, EastEnders: E20, Hollyoaks and unlocked among many others. The first time she played a television role was in 2012 in the British soap opera titled Hollyoaks followed by other shows like Doctors, Casualty and many more. It was in October 2017 that the BBC announced that she will be joining the cast of Doctor Who as a companion named Yasmin Khan. Mandip Gill assumed her role as The Doctor’s companion in the 2018 series, the same time a woman debuted in the iconic role of The Doctor. She will be reprising her role in the next instalment which is expected to be ready by 2020. In 2015, Steven Moffat, Scottish television writer and executive producer of British television series Doctor Who, confirmed that the long-running show will grace the screens for the next five years which leads us to 2020. A few years down the line, that promise is almost fulfiled as plans are underway for a new series of the show to hit the screen. Doctor Who season 12 is the second of its kind to be led by Chris Chibnall in the position of head writer and executive producer. It is also the twelfth series to air since the show was revived in 2005 but generally, it is the thirty-eighth season of the long-running series which started as far back as the ’60s. Notably, Doctor Who season 12 is also veering off traditions by kicking off with a New Year’s Day special episode against the usual annual Christmas Day special. A legend in the business of television shows, Doctor Who has spawned a lot of spin-offs, especially on comic books, films, novels, audio dramas. It has also birthed various television series including Torchwood which ran from 2006 to 2011, The Sarah Jane Adventures (2007–2011), K-9 (2009–2010), and Class – a 2016 TV series. A lot of parodies have also spawned from the British science fiction television programme which has also popped up in references to popular culture. All things being equal, Doctor Who season 12 is set to premiere in early 2020. As earlier revealed by costume designer Ray Holman, Doctor Who season 12 was in pre-production in November 2018 but on the 17th of the same month, BBC announced that the series had begun production already and the cameras started rolling on 23 January 2019. It was also revealed that the show will be broadcast in late 2019 by Starburst but that might not be the case anymore as we are looking at a New Year’s special instead. Screenwriter Ed Hime known for his works on British drama series Skins is set to write an episode for Doctor Who season 12. With the eleventh series ending with a bang in 2018, Jodie expressed excitement about her comeback for a new one. According to her, playing The Doctor has been exciting and she is not in a hurry to hand the role over to another person. Additionally, fans who were skeptical about her gender are gradually coming around and have been promised that the next project of the show will be worth the wait. So far, since the last aired episode which hit the screens in December 2018, 850 episodes have been shown on Doctor Who with 286 stories over 37 seasons. This includes one television movie and multiple specials spinning off the show. For as long as we can remember, the Doctor Who series has piled up prestigious awards and nominations from different award bodies and the winning streak seems to have no end. Some of the awards attributed to the show include, but not limited to the British Academy Television Awards, National Television Awards, Peabody Awards, Writers’ Guild of Great Britain Awards, as well as several others, including the BAFTA Awards won by several of its cast members. The show has also welcomed several recognitions as one of the best TV shows of the century. The Guinness World Records listed Doctor Who as the longest-running science fiction television show in the world. Also on the records, the show takes pride of place as the largest ever simulcast of a TV drama and the “most successful” science fiction series of all time. The latter is based on the show’s all-time broadcast ratings, DVD and book sales, as well as iTunes traffic.